Musician is the second film in the "Work" cycle by documentarian Daniel Kraus, who began the series auspiciously in 2004 with Sheriff, an upbeat, humane slice of life that was as much about certain Southern leadership types as it was about the job of law enforcement. Something similar could be said of Musician, which is partly about what it's like to be a working, touring, recording bandleader, and specifically about what it's like to be prolific Chicago-based musician Ken Vandermark. 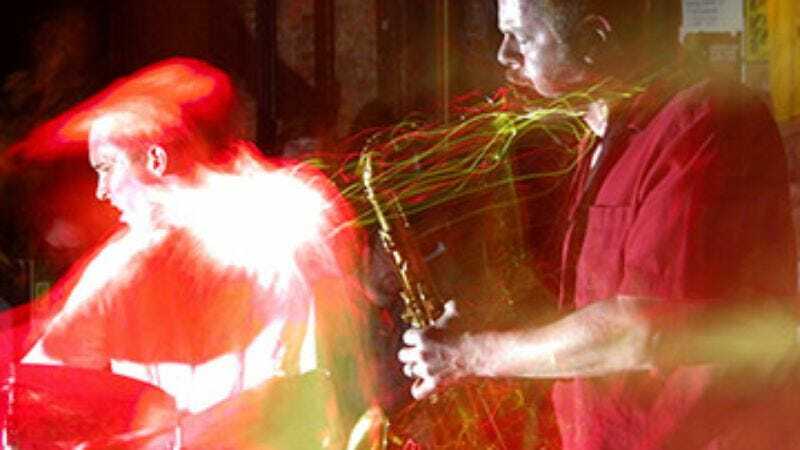 Vandermark is a driven man whose performances with his various jazz combos tend to be loud and physical, full of effortful motion. His life offstage is a constant blur of setting up gigs and chasing down paychecks; when he gets stuck on a stopped elevator, his eyes spark with a look halfway between exasperation and heart-stopping panic. That said, wasting screen time is unlike Kraus. He spent months following Vandermark around to get the footage he needed, and then he cuts to the quick, taking just an hour to create an impressionistic portrait of the labor that goes into making art. Setting his camera intimately close to Vandermark—and sometimes employing split-screens and insert shots—Kraus gets inside the subject's space, showing how much of a working musician's day is taken up by teaching his music to the people he plays with, or explaining to a club owner how he'd like to organize the stage, or keeping track of upcoming dates on his oversized wall calendar. Musician never loses the momentum of its opening sequence, where Vandermark blows a few notes at a time into his sax, then pauses to make notations on sheet music, then takes a sip of coffee, followed by a sip of water. Later, he plays that composition before a crowd, which has no clue about the painstaking process behind what seems so off-the-cuff.